A Dalacarlian horse, also known as a Dala horse, is a common trinket in Sweden that’s almost become a national symbol. The history of these tiny carved wood sculptures dates back to the 1600s, and they’re often decorated with a wide variety of colors and patterns. 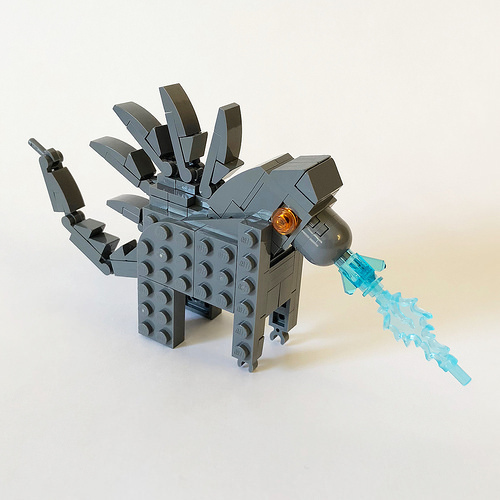 Builder Mark Anderson built a cute little version out of LEGO, with a body only six studs long. The original horse features traditional decorations with a bold main color and careful ornamentation. 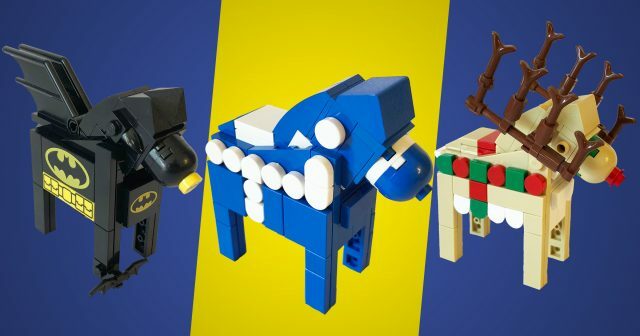 However, after building a few Dala horses featuring the traditional markings, Mark decided to mix things up and expand the decorations to more contemporary themes, which is where they get really fun. 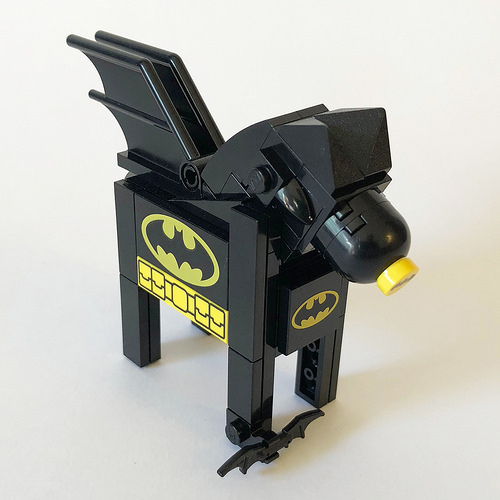 Here’s Mark’s Batman Dala horse. The Dala horse has grown fearsome as the mighty Godzilla. My favorite is this throwback version, recalling one of history’s most famous horses, the Trojan Horse. 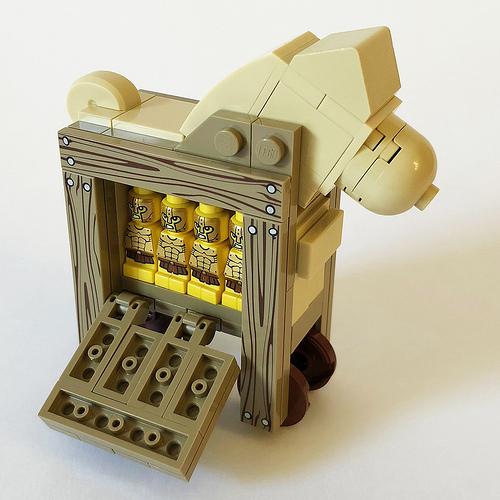 It’s a perfect use for the game-piece microfigs. 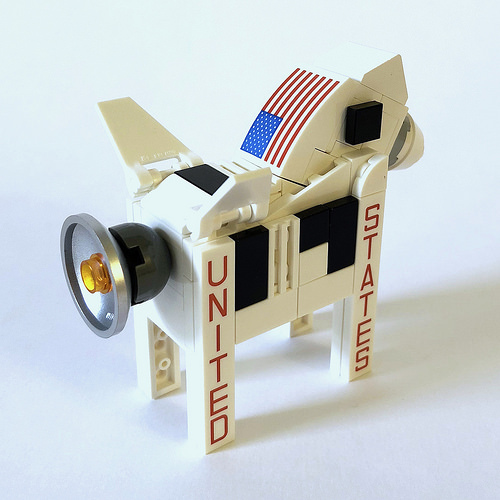 Let’s visit the space race with this Saturn V-inspired Dala horse. 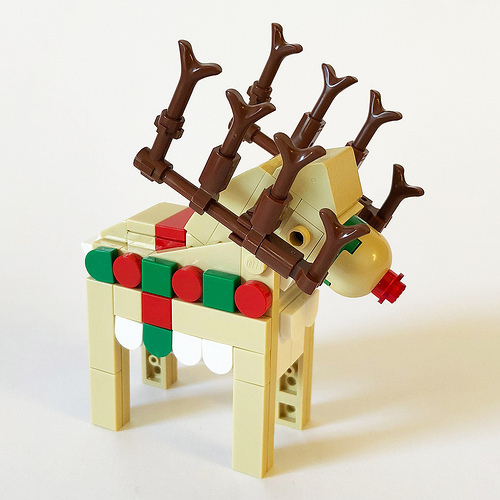 Or we can get festive with this Christmas reindeer Dala horse. 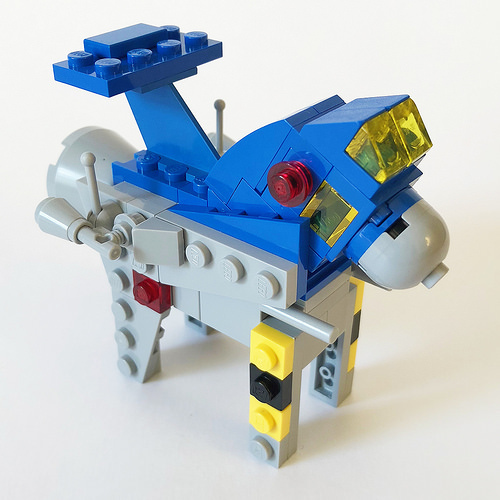 And finally, we can’t forget the Classic Space Dala horse, glorious in its nostalgic grey, blue, and trans yellow. Now I want to go build some Dala horses of my own! 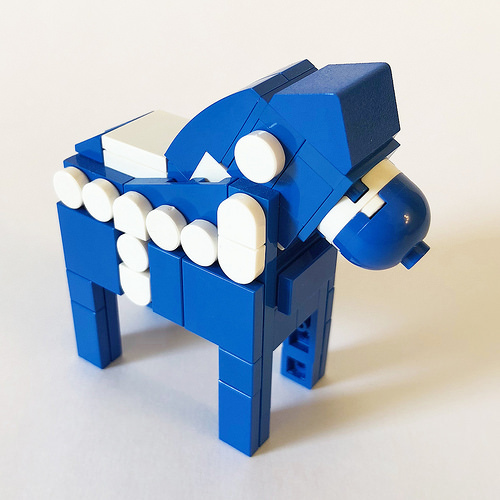 Check out Mark’s flickr album for even more versions of the Dala horse. The Dala Horses looks so cool! I have never seen them before to be honest. Thank you for sharing. By the way, I like the Mark’s Batman Dala horse most. Although blue ones do exist, the most iconic horse is red in color. There has also been a movement to apply the traditional Dala pattern to other animals, although it might have fizzled out by now.